Tournament of Retribution Entry by Capt.JohnPaul! Tournament of Retribution participant, Capt.JohnPaul harasses one of Eurobricks most famous Redcoats.....Joey Lock! In this comic Joey is taunted into battle, has his ship sunk and some of his crew drowned. How will Joey respond to all of these anti-Redcoat actions? Discuss this ToR II entry in the MOC forum! Posted by Ratshot in Comics, Soldiers, Tournament of Retribution II | Comments Off on Tournament of Retribution Entry by Capt.JohnPaul! Eurobricks member Kerntechniker has posted his Bayonets at Dawn entry, The Attack at La Haye Saint. In this battle General Michel Nay ordered his cavalry to attack one of the infamous British squares led by General Wellington resulting in the loss of many French soldiers. Discuss The Attack at La Haye Sainte by Kerntechniker in the Moc forum! Posted by Ratshot in Bayonets at Dawn, Land Based | Comments Off on The Attack at La Haye Sainte by Kerntechniker! The Battle of Spotsylvania by Mrcool1804! The American Civil War rages and many men die. Brother fights brother and fathers fight their sons. 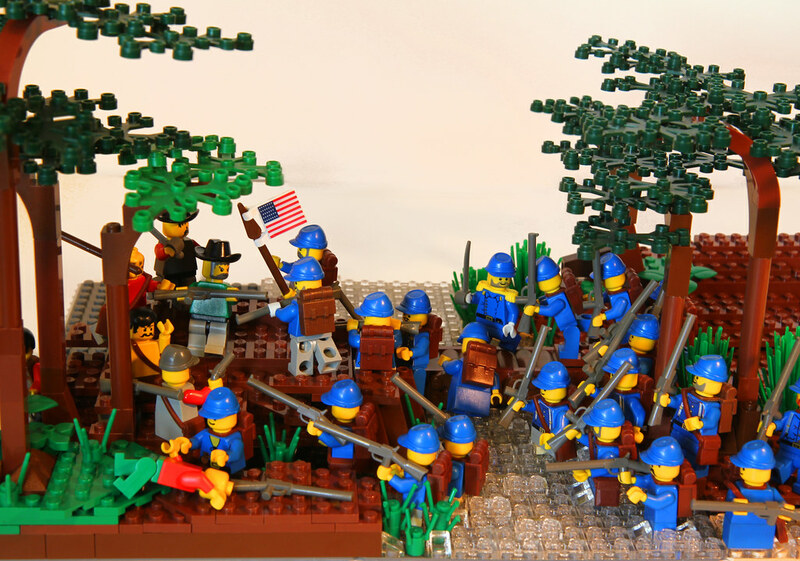 Eurobricks member Mrcool1804 presents us with his version of The Battle of Spotsyvania. The Yankee soldiers advance through the water while under fire from the entrenched Confederates. Who will prevail in this historic American battle? Discuss The Battle of Spotsylvania by Mrcool1804 in the MOC forum. Posted by Ratshot in Bayonets at Dawn, Land Based | Comments Off on The Battle of Spotsylvania by Mrcool1804! Posted by Ratshot in Imperial Soldiers, Pirate, Weapons & Accessories | Comments Off on Hoist the Colors by NewRight! Admiral Ron presents us with his Bayonets at Dawn entry, The Second Battle of Trenton also known as The Battle of Assunpink Creek. 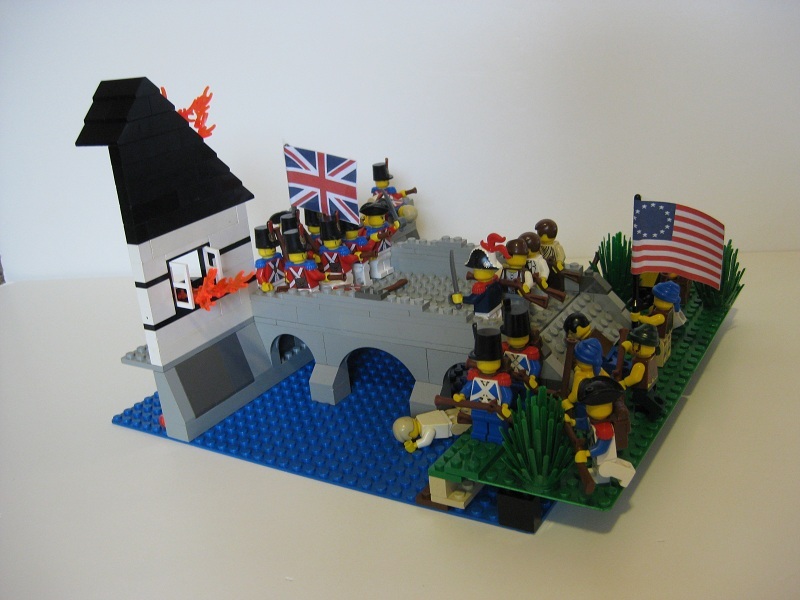 The American Revolutionists stand firm as the British Redcoats advance across the bridge. Who will emerge victorious? Discuss The Second Battle of Trenton by Admiral Ron in the MOC forum. He will receive a Cannon Battle for his entry. So head on over to the winners thread and congratulate him! Posted by Ratshot in Contests | Comments Off on 2010 Community Build Winner…. Voting for the 2010 Community has ended. A big thank you goes out to all the participants for there awesome entries. You guys had some pretty amazing MOC's! I would also like to thank the following members for helping me out in some very important ways! Commodore Hornbricker, Captain Blackmoor, Captain Zuloo, Erdbeeries, SlyOwl and Zorro. PS The winner will be announced shortly. Posted by Ratshot in Contests, Events, News & Announcements | Comments Off on Community Build Voting Closed! Hello, I would like to take this time to remind you that there is only 1 week left untill the 2010 Community Build ends so if you want a chance at winning that beautifull Cannon Battle you better get your entry in fast! If you have any questions feel free to PM me or consult the Questions and Answers Topic. Posted by Ratshot in Contests | Comments Off on 2010 community Build Reminder. Posted by Ratshot in Contests, Land Based | Comments Off on Soup’s On! … at the Commons by Pellaeon! 2010 EB Community Build! A prize is to be awarded for 1st place in the 2010 Community Build! 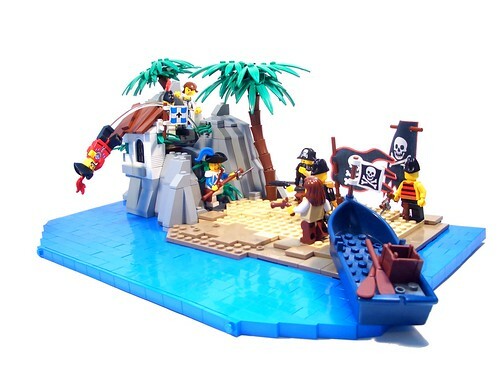 Classic Pirates is pleased to announce that there will be a prize awarded for the 2010 Community Build....6239 Cannon Battle! Discuss the prize in the 2010 Community Build Topic!